The National Research Council of Canada and Advanced Powders & Coatings, a GE Additive company, have developed a new way to test the quality of powders used in 3D printing. The two development partners explain this leads to stronger, cleaner, safer and more reliable 3D printed parts for aerospace and medical devices. Advanced Powders & Coatings (AP&C), a supplier of high quality metal powders, has been collaborating for more than six years with the National Research Council of Canada (NRC) on developing and characterizing titanium and nickel superalloy powders for 3D printing, metal injection moulding and other powder metallurgy processes. 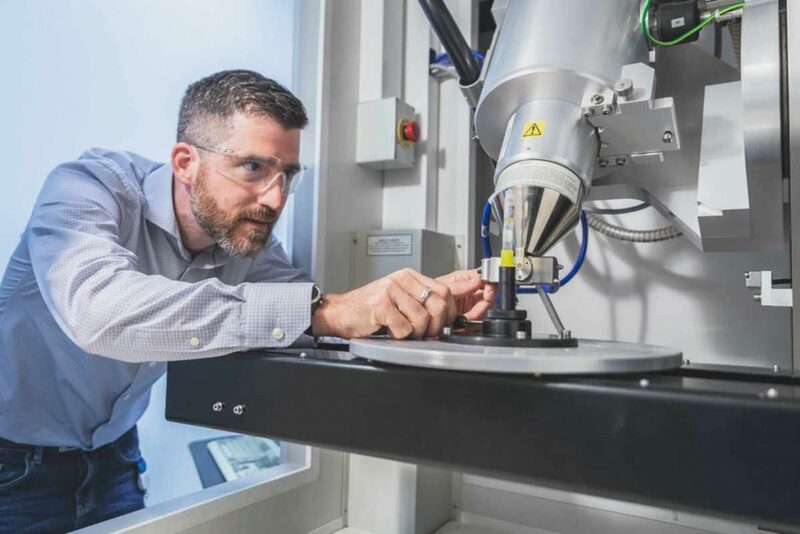 “We hope this new method will support the industrial adoption of 3D printing and ease its implementation in highly regulated environments such as the aerospace and medical devices industries,” said Louis-Philippe Lefebvre, powder forming team lead, Medical Devices Research Centre, NRC. This new powder testing method allows the detection of very low concentrations of foreign particles in powders, explains NRC, using x-ray micro-computed tomography and 3D image analysis. Using this method, NRC explains each individual foreign particle is visualized; size, brightness and overall concentration are measured. In situations where cross contamination is a concern, the technique is more sensitive and discriminating than current chemical analysis. The new method was validated with titanium powders destined for production of aerospace parts, in collaboration with industrial partners. The teams are expanding their capabilities to other materials and metals, such as nickel alloys. The method, explains NRC, could be very useful to qualify recycled powders in applications where safety is important. The National Research Council of Canada and AP&C are cooperating further on improving and developing metal powder characterization methods that are better adapted to the specific needs of the 3D printing industry. In addition to detecting foreign particles using x-ray micro-computed tomography, the NRC is working on the flow of metal powders during the 3D printing process, by measuring how spherical and porous particles are.